Samsung has today announced the Samsung Galaxy Camera – a 16MP, 21x optical zoom compact powered by version 4.1 of Google’s Android operating system. The device is touted by Samsung as being the rebirth of the camera, and it’s truly packed feature-set hints that such a claim may not be too far fetched. 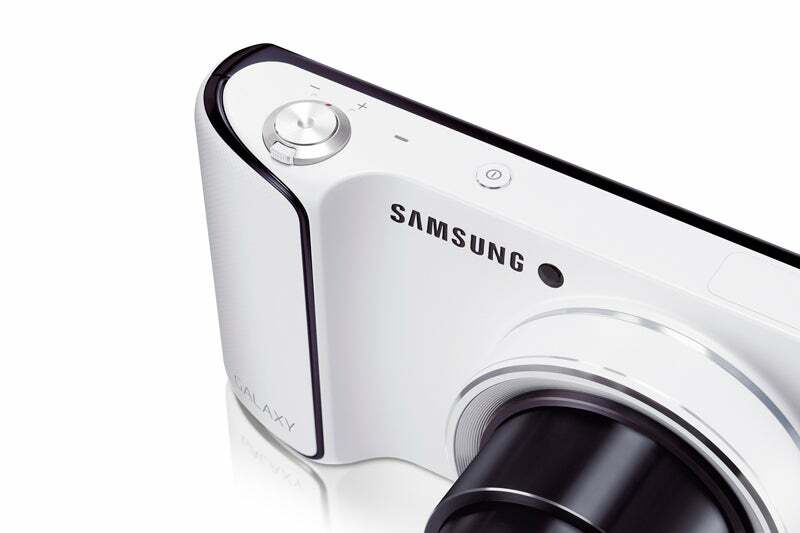 Combining the best features of both cameras and phones, the Samsung Galaxy Camera offers wireless connectivity through Wi-Fi technology, although the real highlight is that it enables either 3G or 4G connectivity, and is the first camera to do so. In terms of conventional imaging the Galaxy Camera packs an optical punch way beyond any cameraphone, housing a 21x optical zoom which covers a focal range equivalent to 23-483mm. The Galaxy Camera also features a 16MP 1/2.3in BSI CMOS sensor akin to many of the manufacturer’s other compacts. The combination of camera and smartphone is no more evident than on the rear of the Galaxy Camera. The model boasts the world’s ‘largest and most vivid’ camera display according to Samsung – a 4.77in HD Super Clear LCD touch panel far outstripping any found on a previous digital camera. As well as touch operation, photographers can also use Samsung’s Voice Control technology to operate the Galaxy Camera, with commands such as ‘Zoom In’ and ‘Shoot’ recognised. 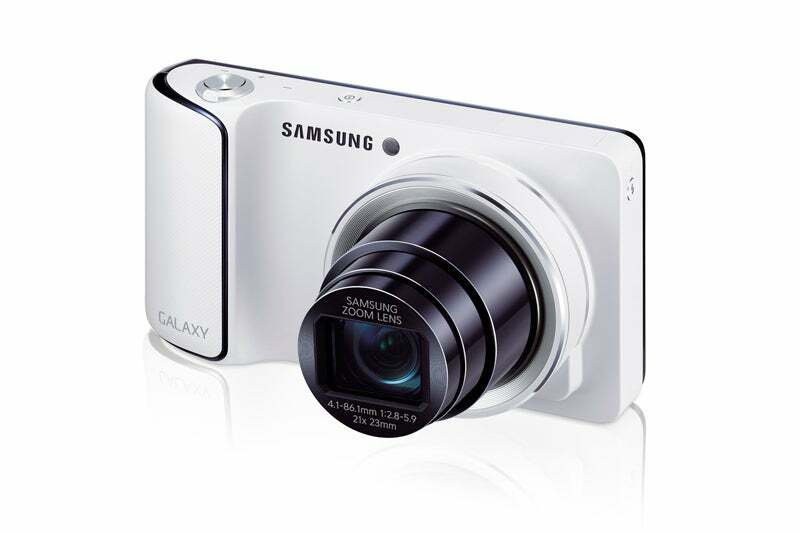 The Galaxy camera offers a range of shooting modes. In addition to full auto, the Casual and Smart Pro modes offer a selection ofscene modes and shooting effects such as Beauty Face, Panorama, Action Freeze and Silhouette. There’s also an expert menu which includes Aperture Priority, Shutter Priority, Program and Manual Exposuremodes with a nifty and easy to use control interface. 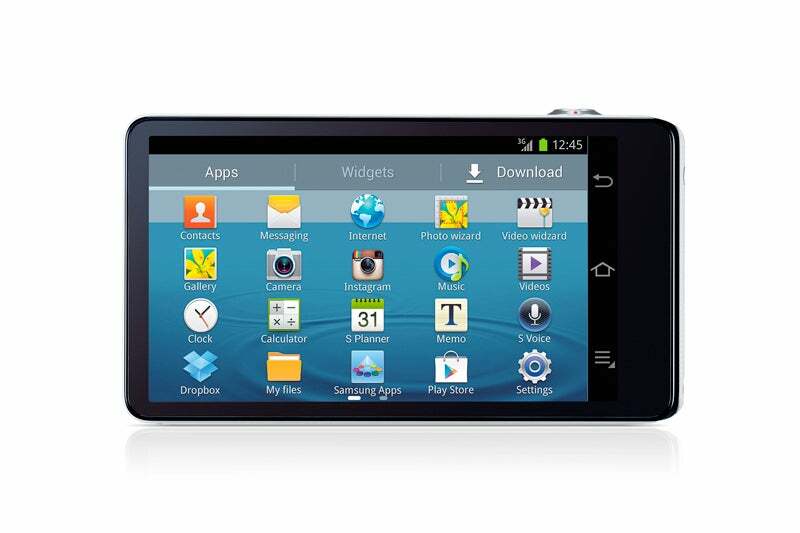 A built in editing suite enabes photographers to enhance their images and apply a range of effects, while the Android OS gives photographers access to the full array of additional apps on Google Play, including everything from photography favourites such as Instagram, right through to Angry Birds. Users can also use Skype on the camera to talk to friends and family.